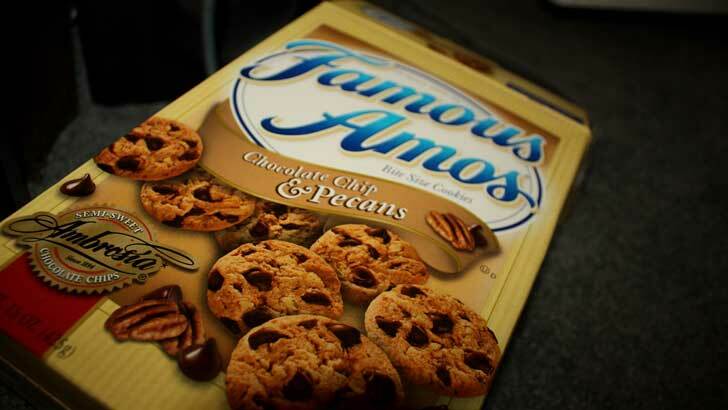 Who Is Famous Amos and Where Did Famous Amos Chocolate Chip Cookies Come From? Wally Amos (1937- ) started working for The William Morris Agency, a very successful and profitable talent agency, as a mail clerk. Eventually, he became the first African American talent agent for the agency. Amos discovered many successful acts, including Simon & Garfunkel, a folk-rock singing duo. He also represented such stars as The Temptations, Patti Labelle, and Marvin Gaye. In 1975, Amos started something entirely different, a chocolate chip cookie empire. By 1980, Famous Amos Chocolate Chip Cookies were truly famous. The company sold more than 5 million dollars’ worth of cookies each year. In 1980 he also donated one of his trademark panama hats to The National Museum of American History. Why is Chocolate Poisonous to Dogs and How Toxic is Dark Chocolate Compared to Milk Chocolate? Who invented Chocolate and where does Chocolate come from?